Softhouse Consulting was one of the first companies to introduce agile methodology in Sweden and we signed our first Agile contract in 2002. Since then we have supported some of Sweden’s leading companies to develop their software business. We have counseled and coached several agile transformations, trained several thousand Scrum Masters and published over 20 publications in lean and agile leadership. The projects at Softhouse include the entire work chain: from customer contact, requirement handling, system design, programming, testing and deploying to customers. As an experienced software developer, you are expected to take active part in all of these steps, together with a scrum team you will be part of. In our teams all team members are equal and appreciated for their contribution and knowledge. We strive towards cross functional teams – this entails that your assignment, besides taking part in delivering well working software also is to lift your team members and always be open to learn new things. As we work mainly for the Swedish market and very often in teams with our Swedish colleagues, high level of openness, honesty and communication is expected. Softhouse has very including culture where mutual feedback in all directions is given and expected. We strive towards a flat organization where everybody’s ideas are heard and recognized as long as these are well put. A team-player workspace where you are part of an internal community of 200 smart colleagues in Sweden and Sarajevo that work together for personal growth. A creative and learning environment; Softhouse believes in the spread of knowledge and employees are encouraged to be members of different communities. Education activities such as seminars and courses (se), Lean and Agile content (issuu.com/softhouse), and open forums like Leaders Tribe (leaderstribe.ba) and meetups. A variety of tasks and platforms on different scales, from individual mobile apps to integrated platforms with multiple interfaces, web portals, and, cloud solutions. Having fun is key. We always strive for openness and encourage each other to try new things with a do-learn-adapt approach and therefore arrange joint conference trips and team building events where we can give feedback and learn from one another. Softhouse Balkans is a part of Softhouse Consulting Sweden – one of the leading Lean and Agile companies in Scandinavia. We offer reliable and innovative software solutions to international clients, as well as services within business development and Lean and Agile training. Having recognized the great potential of young IT professionals in Bosnia-Herzegovina, three years ago we chose to expand our business in the region. Mixing the best of Sweden and Balkan, we deliver high-quality services to our customers. Our employees are our greatest asset, and our culture is characterized by a strong team spirit where every individual has a vital role in the prosperity of our company. 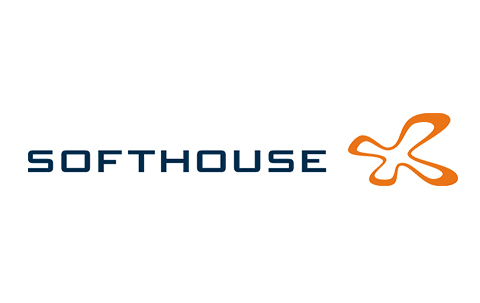 Softhouse was founded in 1996 and employs nearly 200 employees in six different cities in Sweden and Sarajevo in Bosnia & Hercegovina. The company is a partner in a handful of exciting product and service companies – all with software as a supportive part of the business. Softhouse has shown growth and profitability over 20 years in a row.